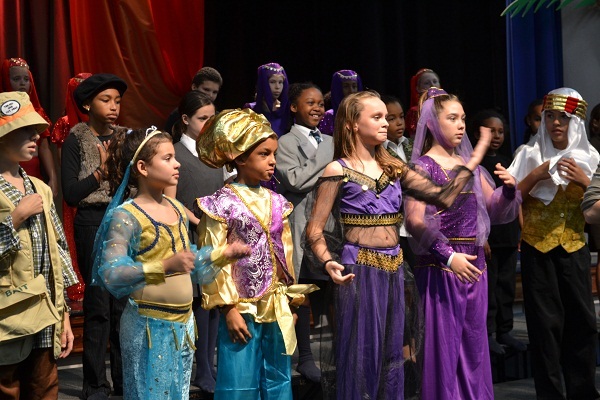 Earlier this week Warwick Academy’s Upper Primary department put on a production of Scheherazade by Nick Perrin. The story covers two children poking around a junk shop looking for a birthday present for their Grandfather. They discover a heavy dust-covered book called ‘Tales of the Arabian Nights’. A mysterious character, whom the children take to be the shopkeeper, suddenly appears then and tells the children about the book before reading them the story of Princess Scheherazade. 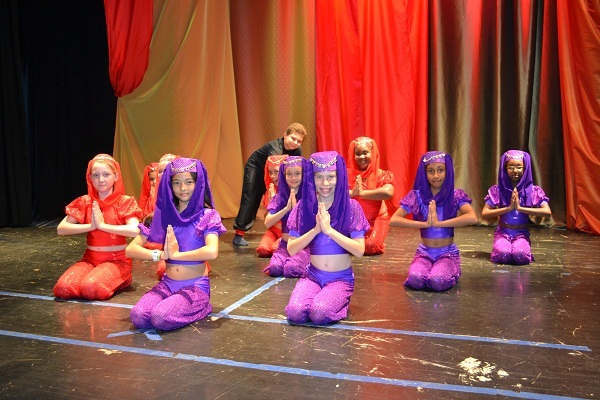 The play tells four of the tales and the audiences gets to find out what happens to Scheherazade and her sister Dinazade. 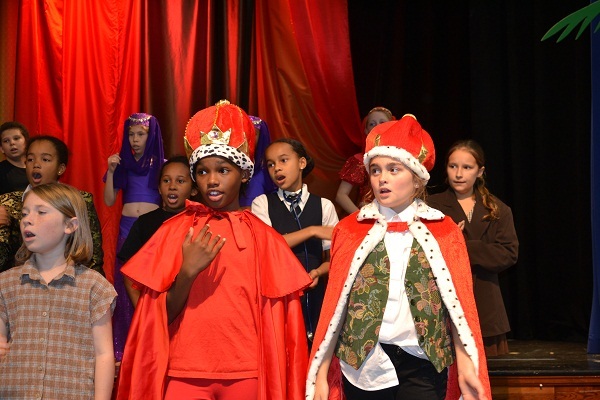 Year 6 teacher Amanda Ingham was the Director, primary music teacher Davidson Bishopwas the Musical Director and the choreographers were year 5 teacher Molly Cordeiro and Director of Staff and Student Developmenta Jill Finnigan. Also a short review would be great – you can add a review on the same page.